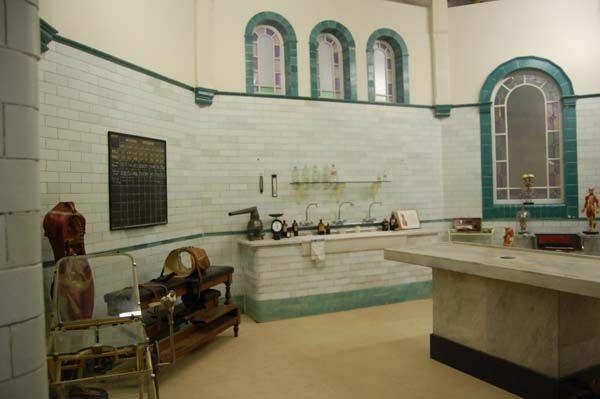 This unique tiled octagonal operating theatre is located at Curious Science in West London. Available for hire 7 days a week. ideal for all types of filming with good access and parking.